Hope I'm posting this in the right section. I'm converting an old K8400 to run Duet Wifi (and later to use e3d chimera / nimble zesty combo). The board is plugged in and connected, but I'm not sure about the next stage. I'm wondering if someone would mind walking me through the RepRapFirmware Configuration Tool. There are lots of settings in there, and despite the lengthy explanations in the Duet wiki I still not much wiser on what is the right value for my printer! Obviously there are some values in the example K8400 Configuration.h file in the Marlin github. But should I be using those or not? Is there an existing configuration I can use somewhere? You can start from the values in the Marlin sample config, just bear in mind that all speeds in RRF are in mm/min whereas some in Marlin are mm/sec. OK, so I literally get stuck on the second page! ```On the configurator second page, it states 'Axis Direction' as forwards / backwards. I'm guessing here that I leave X as it is, but Y and Z as backwards? The next part I have difficulty with is the motor driver (last column, 2nd page). Where do I find this out? Is it in the Configuration.h file? Try that, you can always change it if some of the motors run backwards. Leave it as the default: X0, Y1, Z1, E0-2, E1-4. OK, thanks! Now for the endstops. I really can't find any information about them, either in the Configuration.h file or from Velleman. How can I find out the right values? #define X_MIN_ENDSTOP_INVERTING true  // set to true to invert the logic of the endstop. #define Y_MIN_ENDSTOP_INVERTING true  // set to true to invert the logic of the endstop. #define Z_MIN_ENDSTOP_INVERTING true  // set to true to invert the logic of the endstop. #define X_MAX_ENDSTOP_INVERTING true  // set to true to invert the logic of the endstop. #define Y_MAX_ENDSTOP_INVERTING true  // set to true to invert the logic of the endstop. #define Z_MAX_ENDSTOP_INVERTING true  // set to true to invert the logic of the endstop. It's hard to be sure without a higher resolution photo, but those look like optical endstops to me - can you confirm? In which case they are probably active high. In Marlin you have them configured as MIN endstops, which means they are at the low end. If those endstops were designed for 5V operation then they may need modification to make them work reliably on 3.3V. Also be aware that the pin order of the endstop connectors is quite likely to be different from your old controller board. You can test the endstops as described at https://duet3d.dozuki.com/Wiki/Connecting_endstop_switches#Section_Test_endstop_switches. Yes, they are optical endstops. 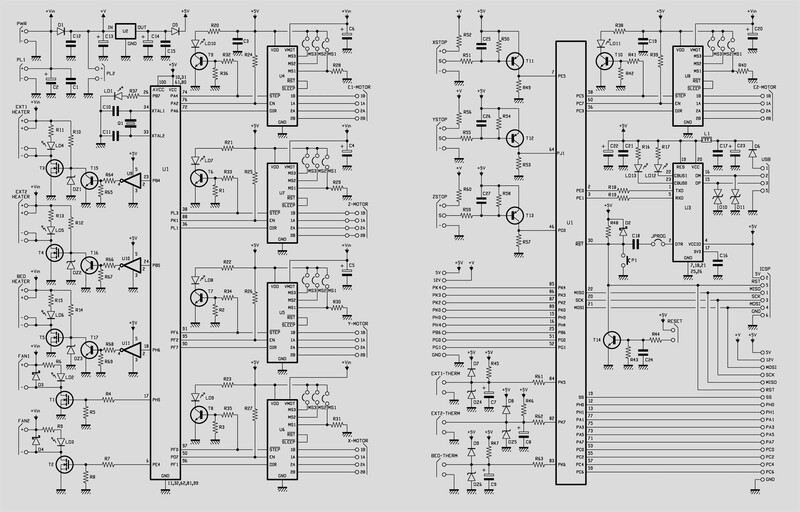 I can't find out what their rating is, but it looks like 5V on the old board wiring schematic. I've been assuming the values in the Marlin K8400 example config are correct. Is the reason to change them because the Duet treats them differently? There is no need to change the values in the config from the equivalent Marlin values. The X_ENABLE and so on in your Marlin config refer to the stepper drivers, not the endstop inputs. I'm sorry for so many questions - what about endstop location? How do I know if it's high/low end? #define Z_SAFE_HOMING_X_POINT ((X_BED_SIZE) / 2)    // X point for Z homing when homing all axes (G28). #define Z_SAFE_HOMING_Y_POINT ((Y_BED_SIZE) / 2)    // Y point for Z homing when homing all axes (G28). ```But in the configurator, you're asked homing speeds first pass, second pass, etc. ? And what is z dive height? says they are low end. Could you make head or tail of all the homing speed stuff? SMD resistors are readily available. Do you have a soldering iron? Can you post high-res photos of both sides of one of the endstops, so that I can better advise you? If those are no good I can re-do them. So I'm assuming these optical end stops are no good or miswired? Ah ha, all wired in reverse. Tested Y endstop and it seems to work. The LED is lit and goes on and off when triggered. Likewise for the z endstop. These show up on the Duet machine properties. But the x endstop LED is lit more faintly. This endstop does trigger (i.e. the LED goes out), but it doesn't register with the Duet. When I swap with the y endstop, the LED lights up fine (and vice versa, the Y endstop led goes faint if I put the x endstop on it). I re-did all the x endstop connections and it seems fine but I'm a bit puzzled as to why there is a fainter glow on the LED than the others. If a sensor was to fail / not work with 3.3V, is this what it does? I read "some types of endstop (e.g. 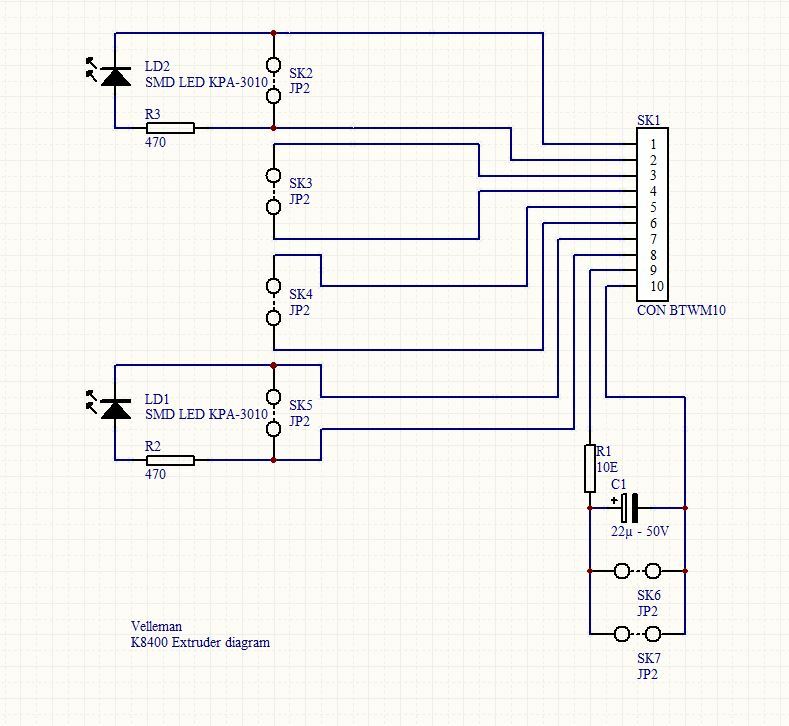 opto endstops designed for 5V operation) may pull the endstop input low enough to light the LED, but not low enough for the Duet to recognise that the input is in the LOW state". Is it likely this is just a bad sensor, and would it be worth buying another? 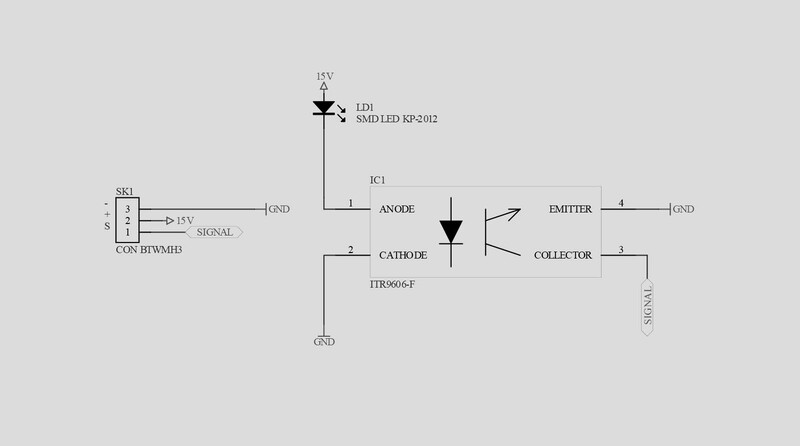 Note that the +15V seems to be directly connected to the LED anode but there is a series resistor on the mainboard to limit the LED current. Er, not sure what means! I know really nothing about electronics. With a bit of luck, I can follow instructions though? I was wondering if I could cannibalise the old board to get the resistors needed to fix the bad sensor? I have no idea how to do that, of course! Sadly a quick search of the pdf didn't reveal a 100 ohms resistor anywhere on that board.